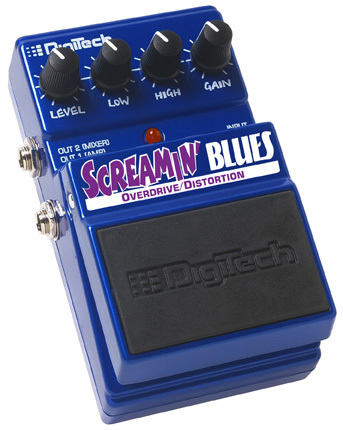 The Screamin' Blues Overdrive/Distortion pedal was designed for guitarists who want a pedal that responds to their unique playing dynamics while retaining the tone of their guitar and amp. 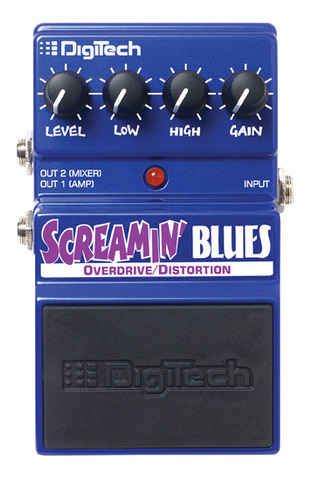 Play lightly and you get a subtle overdrive, dial up the gain and dig in to get rich harmonics and killer sustain! Instead of the "one knob does it all" tone adjustment, you get low and high EQ adjustments to dial in that perfect sound you are looking for! You want subtle you got it; you want your guitar to scream; you can have that too. Get it all in one rough rugged designed stomp box that gives you more output and tonal options than the other guys!